Question papers from ZIO-2018, ZCO-2018 and INOI-2018. The Leader and Deputy Leader of the Indian contingent will be Madhavan Mukund and K Narayan Kumar, both from Chennai Mathematical Institute, Chennai. 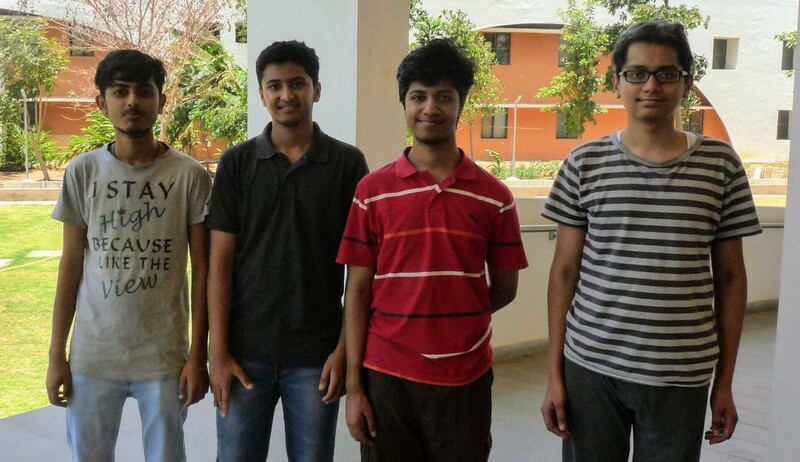 The Indian team for IOI is selected at the International Olympiad in Informatics Training Camp (IOITC). IOITC-2018 was held over 10 days in Chennai during the period 30 April–9 May, 2018. We thank Sasken Technologies Ltd for sponsoring the camp and Chennai Mathematical Institute for hosting the camp on their campus. The Indian team's travel to IOI-2018 will be sponsored by Sasken Technologies Ltd. The Indian National Olympiad in Informatics, 2018 (INOI-2018) took place on Sunday, 7 January, 2018. 31 students have qualified for the International Olympiad in Informatics Training Camp, 2018 (IOITC-2018) to select the Indian team for the International Olympiad in Informatics, 2018 (IOI-2018). The Zonal Informatics Olympiad, 2018 (ZIO-2018) was held at 34 cities across India on Saturday, 18 November, 2017. About 410 students wrote ZIO-2018. 126 students have qualified through ZIO-2018 for INOI-2018.. The Zonal Computing Olympiad, 2018 (ZCO-2018) was held at 34 cities across India on Saturday, 11 November, 2017. About 470 students wrote ZCO-2018. 106 students have qualified through ZCO-2018 for INOI-2018.